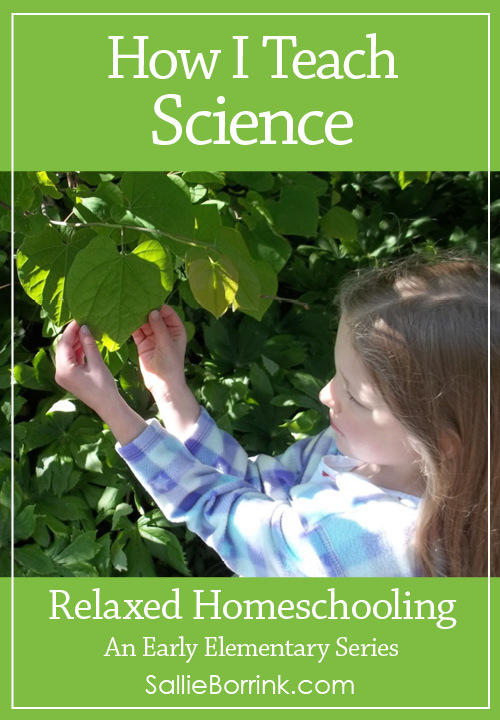 My approach to science in our relaxed homeschooling family has been very relaxed. My philosophy is that all children really need in early elementary is exposure to science topics and to develop a healthy curiosity about the world around them. If a child is curious, she will learn plenty even in an unstructured way. I don’t use a textbook to teach science. Most of the early elementary textbooks are either so simplistic or are so poorly designed that they would not appeal to Caroline at all. We don’t write about science. Unless it is something she dictates to me for her journal, we just don’t write about it. Since she’s not an enthusiastic writer, I’m not going to ruin her science experiences that she enjoys by adding a challenging aspect. She can write about science as she gets older. It’s not important right now. We do a lot of reading of library books, books we buy at library sales, etc. Caroline explores topics that interest her. I look for teachable moments during conversations. There are so many of these that never get recorded, but science thinking and discussion happens daily in our home. I look for interesting science materials that I think Caroline would enjoy. For example, she’s been doing Snap Circuits with David this fall and has learned quite a bit. Since we fall into the category of nature study for indoor people, we do a little bit outside, but not a lot. We have done a little bit of both vegetable and flower gardening so Caroline has learned about growing things in real life. We feed the birds and do quite a bit of birdwatching. She can name many birds both by sight and by their call. Caroline thoroughly enjoys a number of PBS Kids shows on the Kindle as well as other learning apps. We have a Kindle FreeTime Unlimited subscription that allows her to watch many learning shows at any time. At $2.99 a month, it is a GREAT deal. Wild Kratts is one of her favorite shows! For our second semester this year, we are going to start doing some science-themed lapbooks. I’m designing them myself so they will be high on content, but low on writing requirements. I’m hoping other right-brained children can benefit from them as well. So there it is! A little peak into our low-key but lots of learning science approach. 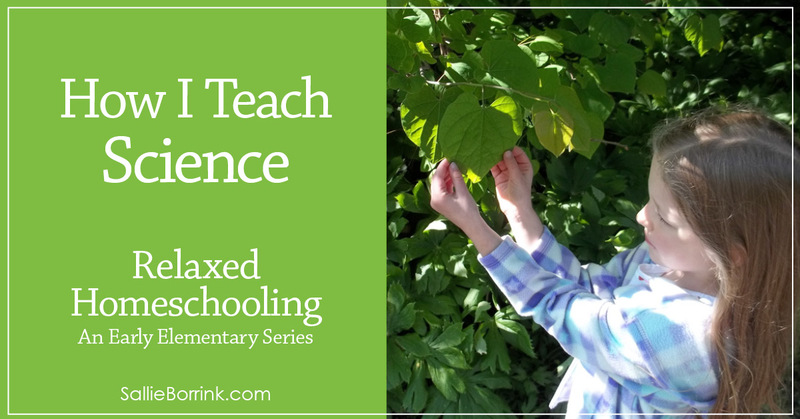 This is part of my Relaxed Homeschooling in the Early Elementary Years series. Read the Introduction to the series here. This is also part of the iHN January Hopscotch. Check out all the fun series here! We love Snap Circuits here, too! Thames and Kosmos kits are popular as well. I agree that there doesn’t seem to be a great science curriculum for this age; exploring everything and letting them indulge their curiosity about how things work and about nature has worked very well for us, too!